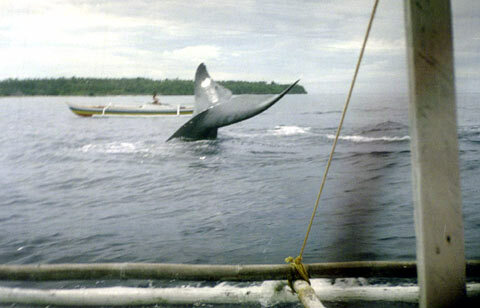 A bryde's whale (Balaenoptera edeni, which was swimming near Pamilacan Island for more than one week. Photo taken on 29 February 2004. The adult bryde's whale can grow to a length of 12.5 meters to 14 meters and a weight of 26,000 kilograms. The female is larger than the male.